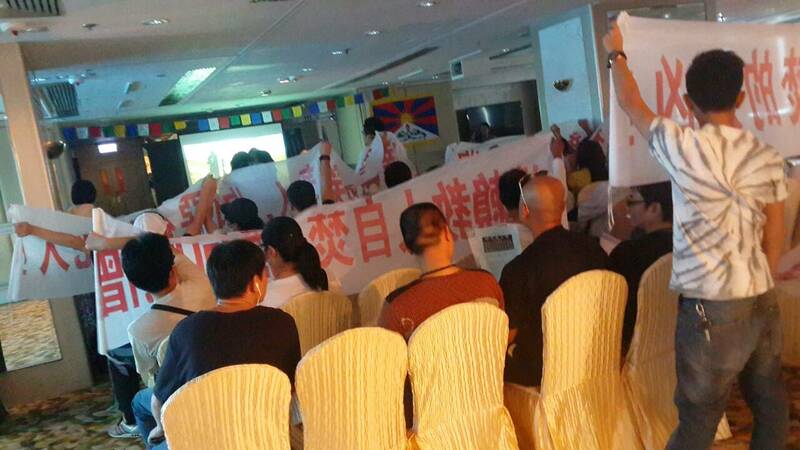 (TibetanReview.net, Sep29, 2014) – A festival of films on Tibet being held at the Regal Riverside Hotel in Hong Kong was disrupted on its opening day of Sep 27 by a gang of more than 20 goons whom the organizers suspect were hired by a Chinese government agency, reported taipeitimes.com Sep 28. 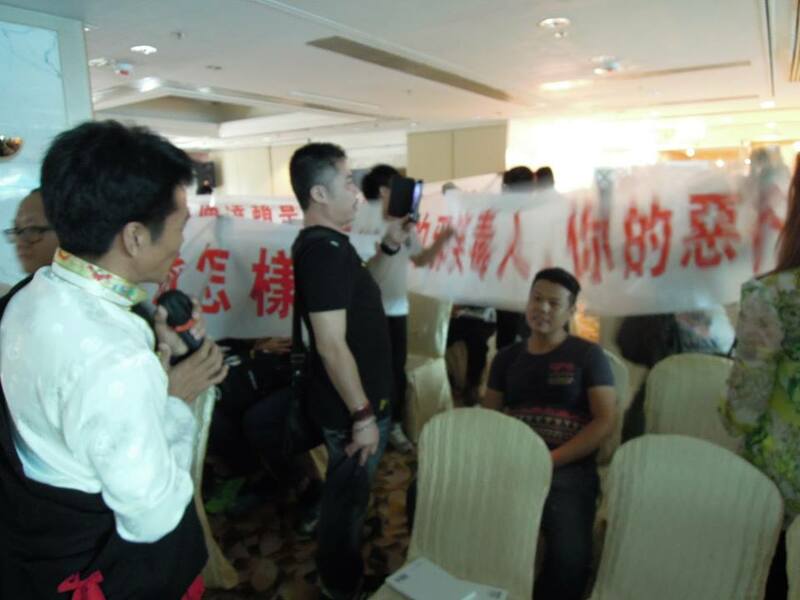 As the Hong Kong Tibet Film Festival was inaugurated at around 9:30am, a group of “more than 20 people — who looked like gangsters — rushed into the venue, shouting, accusing the Dalai Lama of being a separatist, questioning why we wouldn’t listen to Beijing and stay part of China, while also holding banners accusing His Holiness of encouraging Tibetan self-immolations,” the report quoted Taiwan Tibetan Welfare Association president Tashi Tsering as saying. The gang slapped a Hong Kong organizer in the face when he tried to stop them, the report added. The gang left before the police, called by the organizers, arrived. The festival continued despite the goons’ warning that they will come back. 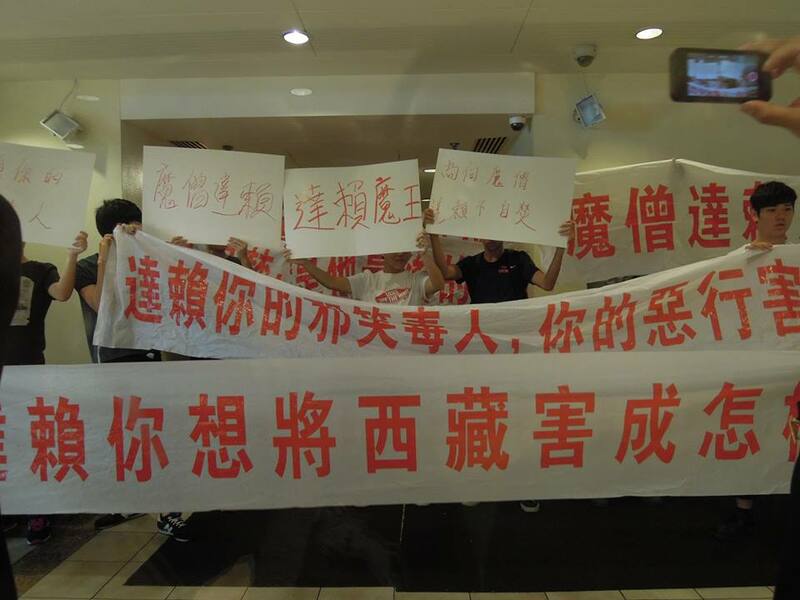 The three-day event organized by the Hong Kong Tibet Culture Centre also features an exhibition on the series of self-immolation protests in Tibet, the report added.